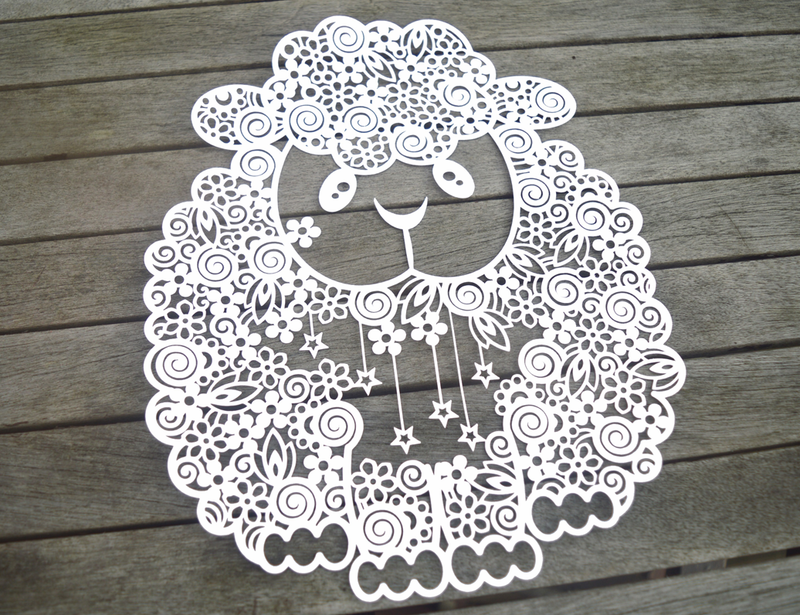 Introducing ‘Doodle Sheep!’ This sheep looks so fluffy I would love a cuddle from him! Doodle sheep would be perfect for any occasion, I especially think this design would make an amazing new baby gift for a baby’s nursery! My inspiration for this Sheep design came from my love of animals and colouring books! I decided to try combining both my papercutting art and my colouring book ideas as one technique and I love the result! I hope you do too!